The kings of the online slot developers rightly deserve their position at the top of the casino software pyramid, and now we’re going to take a look at why that is. 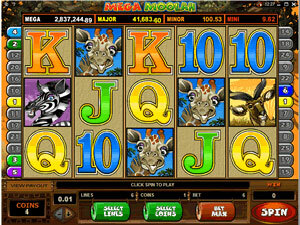 Microgaming Slots offer the most enjoyable and entertaining products in the online gaming industry. So far, there are more than 350 games produced by Microgaming and that number is always growing. 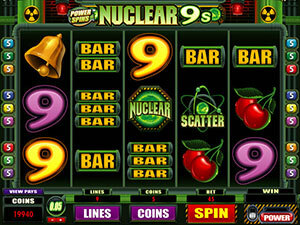 Microgaming slots feature the highest quality graphics and sound effects in the industry. But beyond the pure entertainment offered by these games, Microgaming's Slots also offer outstanding payoffs and huge progressive jackpots. There are many online casinos which feature Microgaming Slots, including UK Casino Club, Spin Palace, Go Wild and Platinum Play Online Casino. All of them offer great bonuses for new players and wonderful rewards for their members. 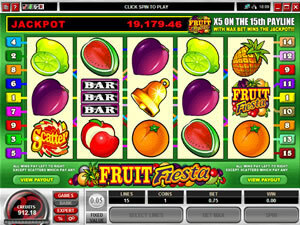 The latest Microgaming Slot games arrived in time for Halloween in 2012. One of them is called "The Twisted Circus". All your three-ring favorites are here, including the bearded lady, the fire-eater and the snake-charmer. There is also a ringmaster who, naturally, is running the whole show. You'll recognize the traditional circus music playing during the game, though there is an added sinister touch to the sound. There are 243 ways to win in The Twisted Circus. The other new game from Microgaming Slots also offers a scary backdrop. It is called "Phantom Cash". You'll feel like you're in a haunted house playing this game, with the symbols including phantoms, ghosts and a creepy house. Phantom Cash also features scary, if still fun, music. There are ghost catchers and a ghost zap feature which offers special prizes. There is also a bonus if you get enough Haunted Mansions on your reel, which you’ll know when you hear a woman offering a blood-curdling scream. The Mansions are the games’ scatter symbol. The signature game of Microgaming slots and certainly one of the most exciting experiences in all of gaming is "The Dark Knight". In conjunction with DC Comics and based on the very popular Batman movie, The Dark Knight Slot Game is in itself a great entertainment spectacle, with the presentation making you feel like you’re in a high-tech movie theatre. Among the symbols you’ll find are the Bat and many of the characters from the movie, including Bruce Wayne and the frequently present Joker. A small scene comes out on the game board after certain wins, and Batman himself steps out in front of the board at certain times as a Wild Card. 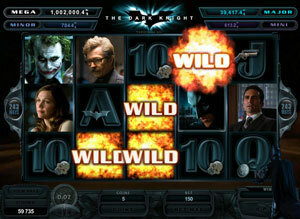 In addition to the great presentation, there are huge progressive jackpots offered by The Dark Knight Slots. The payoff is frequently above £4 million. If for some reason the games mentioned above are not to your liking, there are plenty more exciting and downright dazzling slots to choose from in Microgaming Casinos. They offer an entertainment experience of the highest order. And that’s in addition to the massive jackpots!